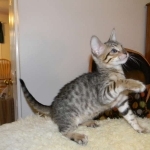 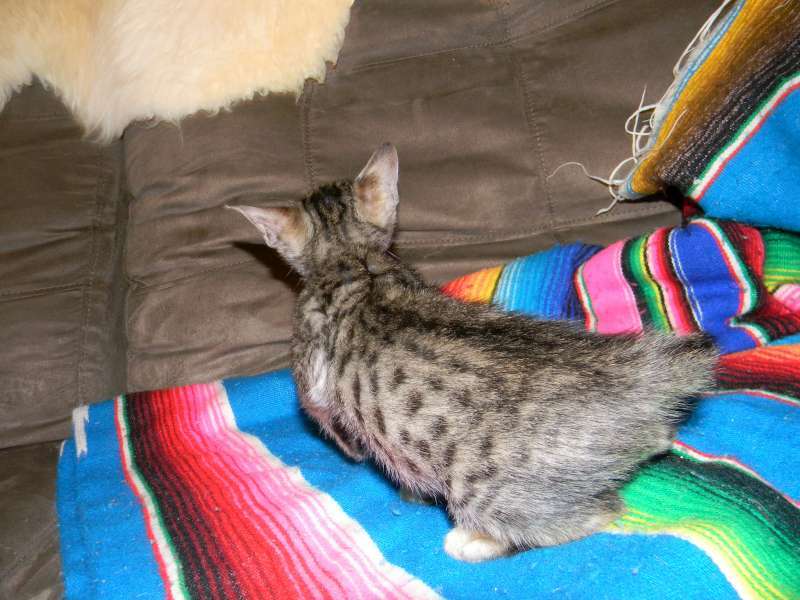 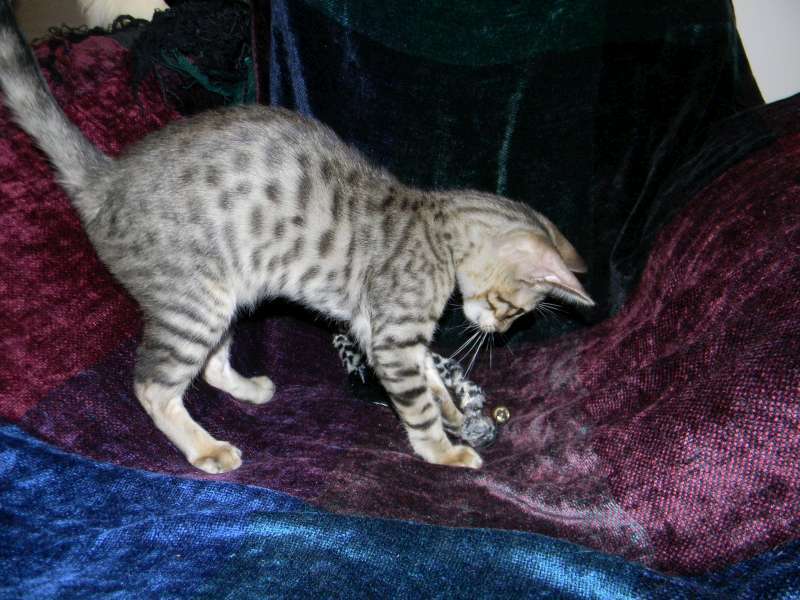 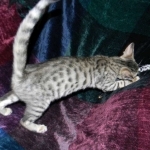 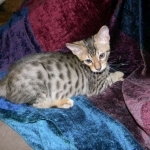 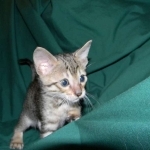 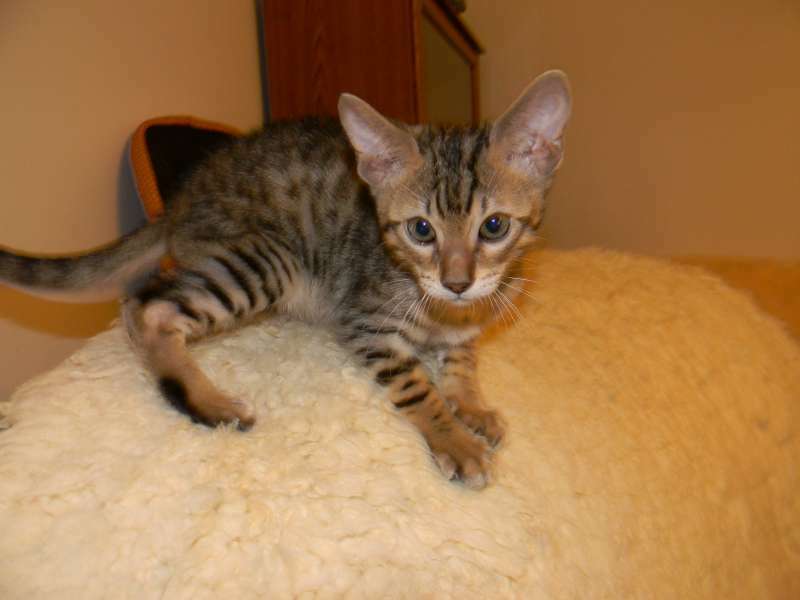 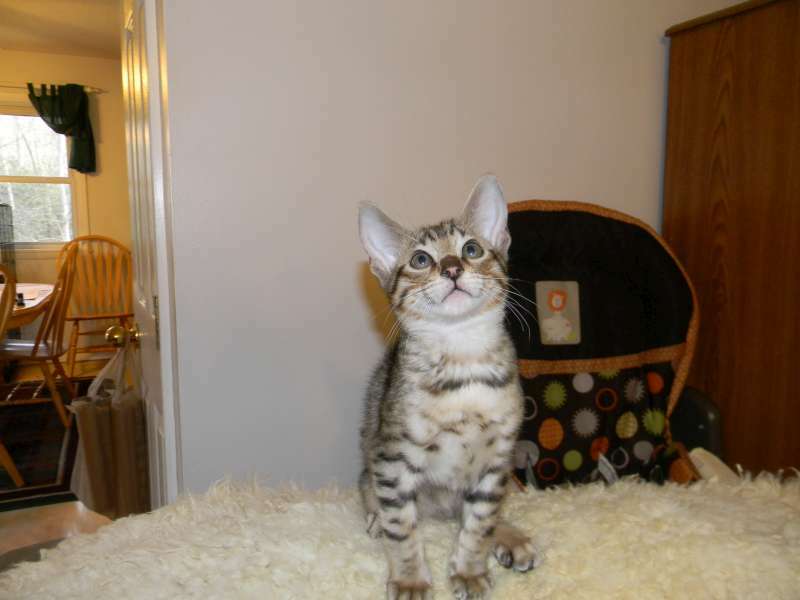 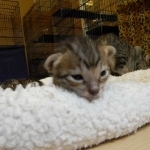 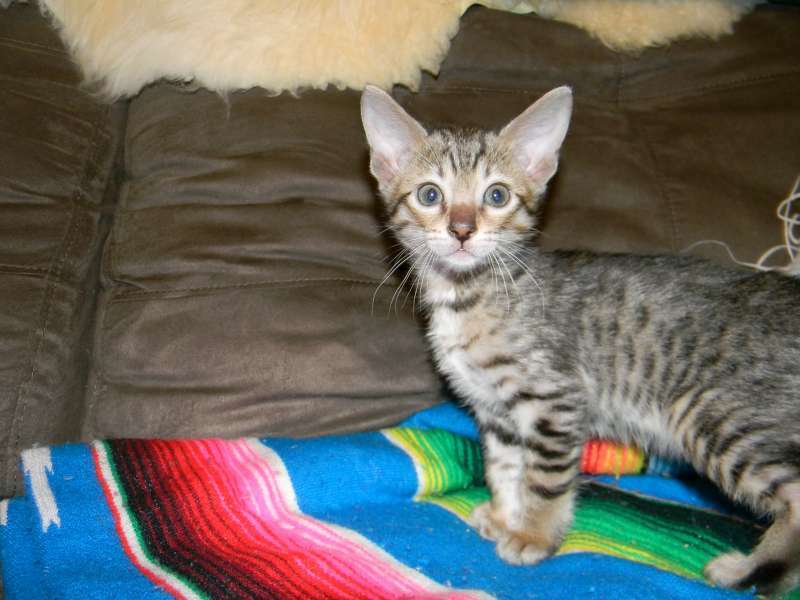 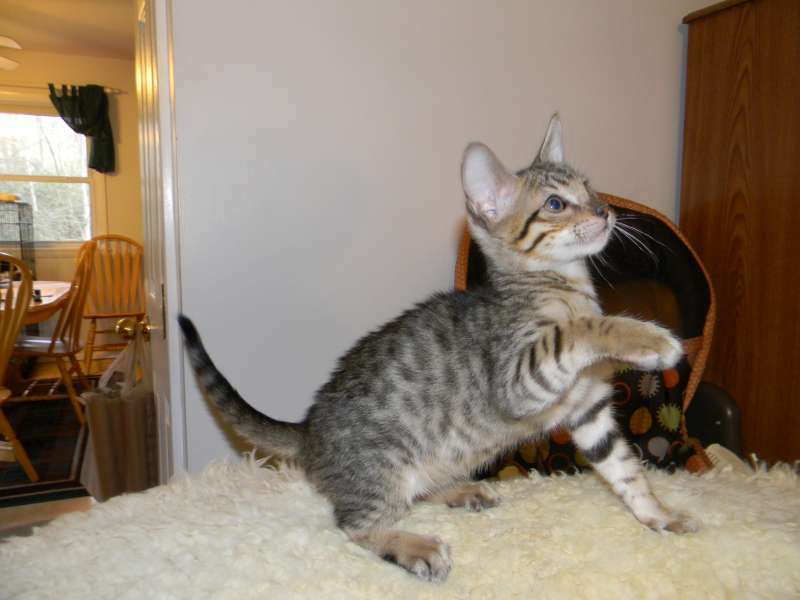 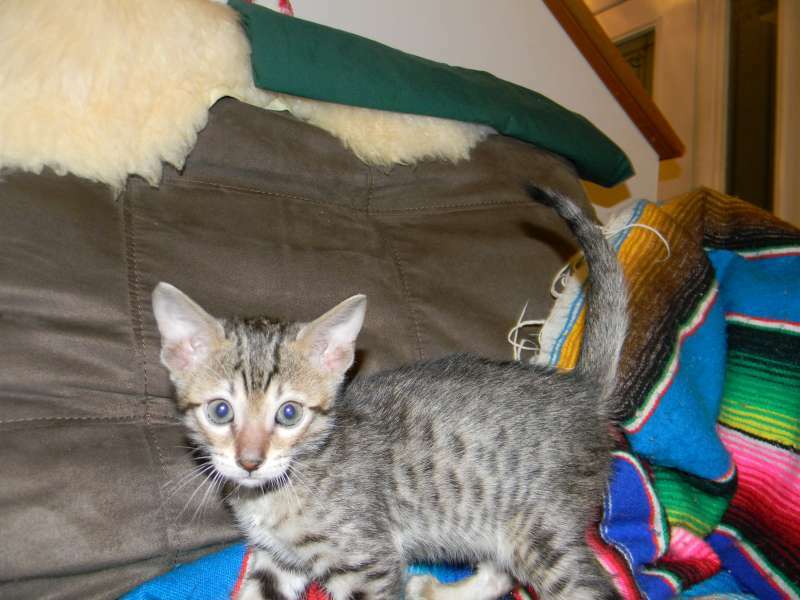 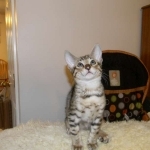 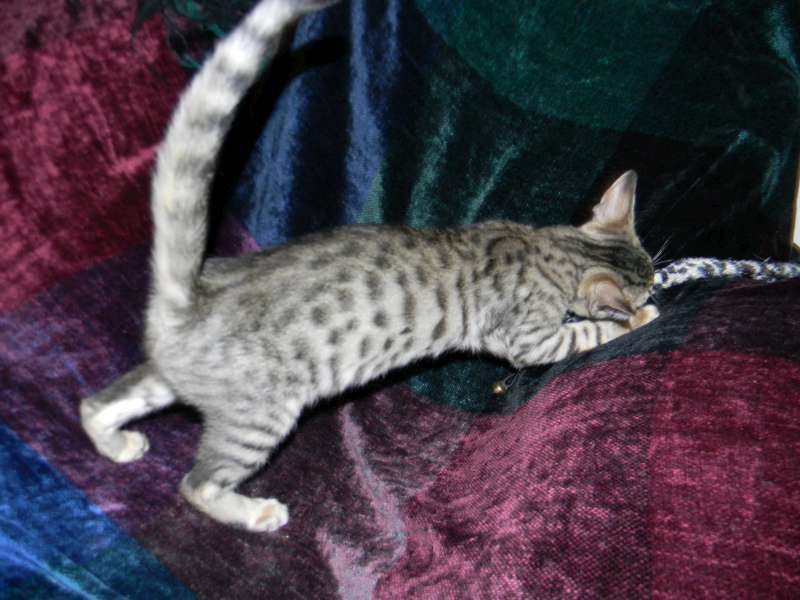 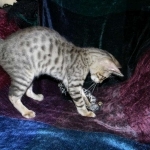 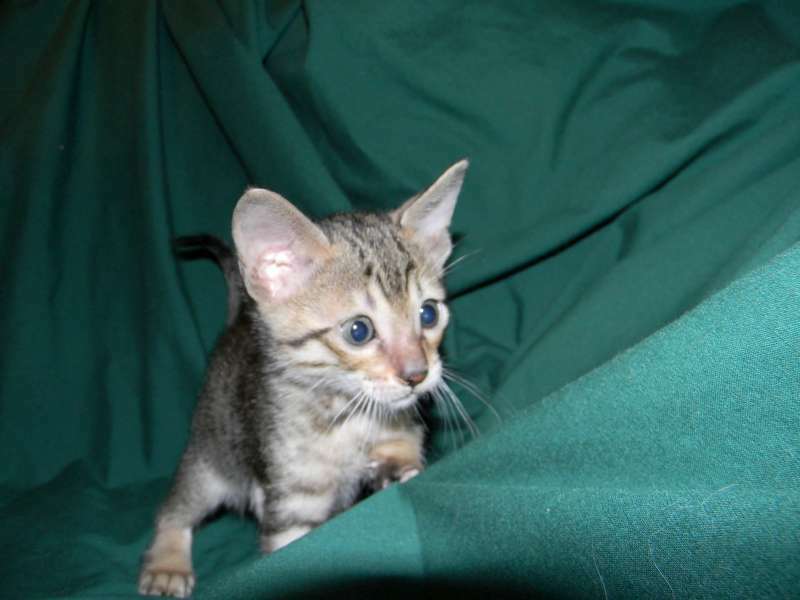 The darkest of 4 brothers this savannah boy offers great spots, ears and a winning personality. 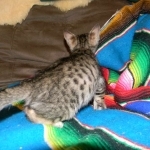 He will be going to live with Joshua in NC. 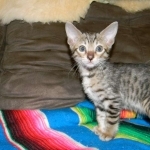 Deer in the Head Lights! 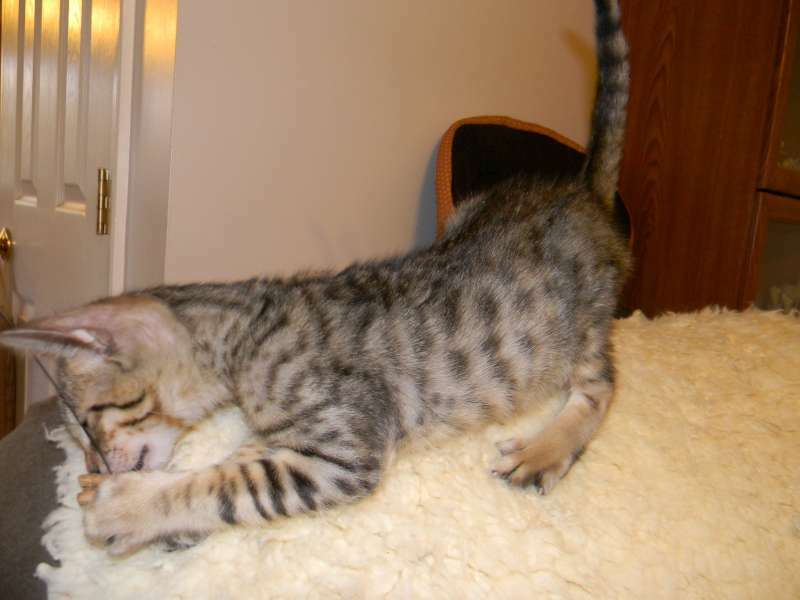 This savannah boy is a character. 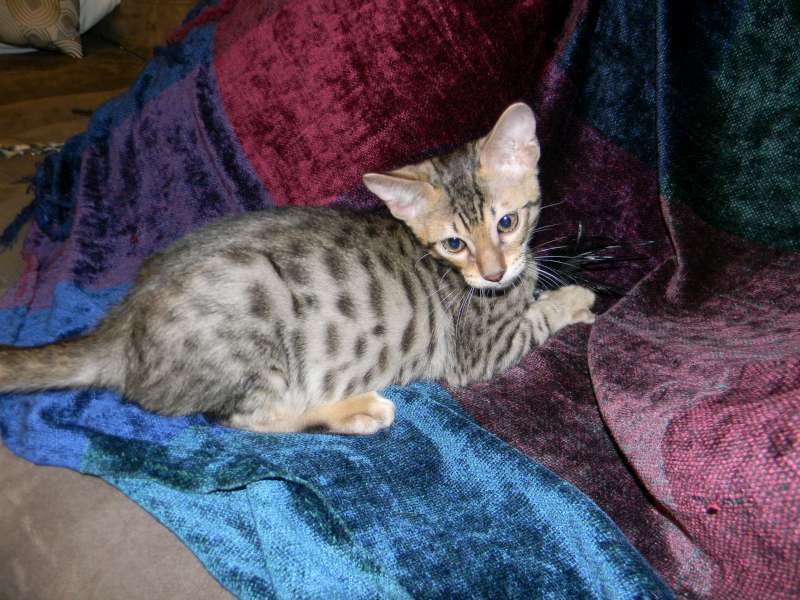 He already has his savannah spots! 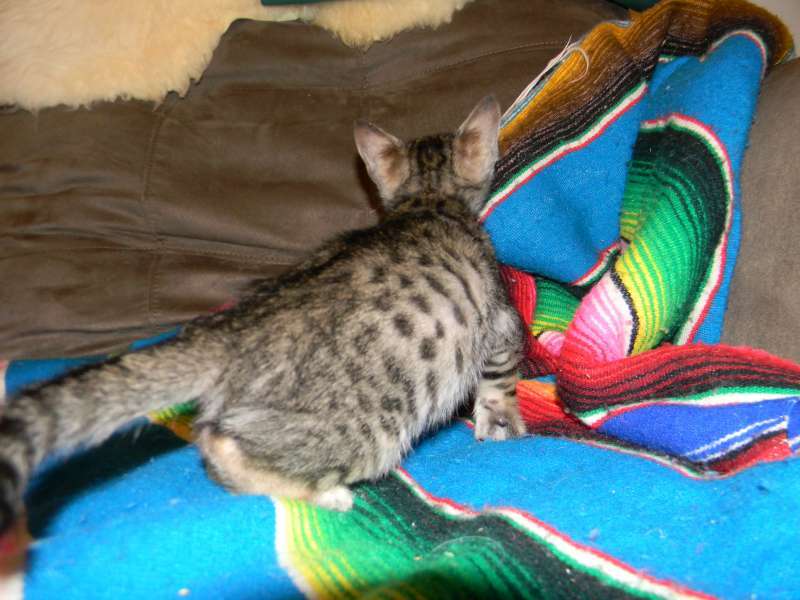 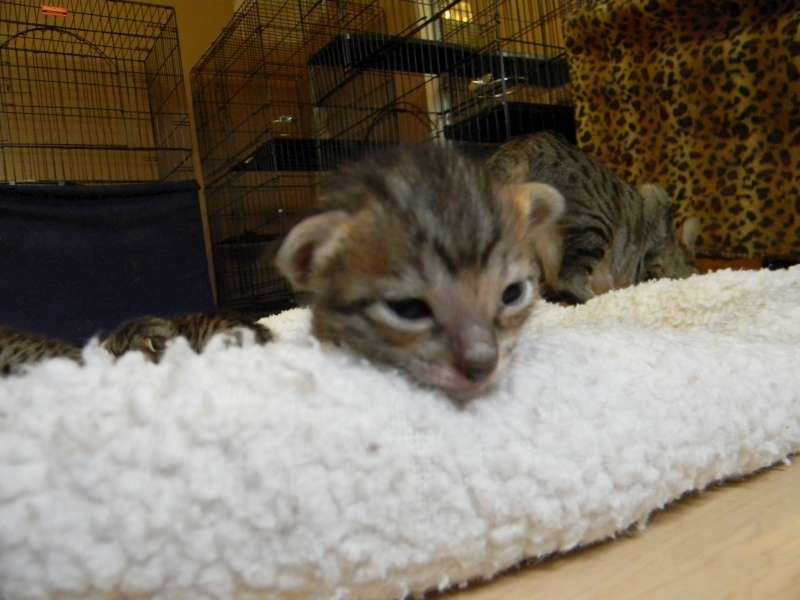 Such a tiny savannah boy here. 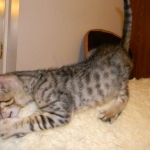 He will grow fast.